How do you make one of the best-selling, hardest-charging boots better? Make it lighter, more durable and smoother flexing thanks to Endo® 2.0 shell construction. The K2 Maysis Snowboard Boots also comes with an Intuition® Control Foam liner that heat molds to your foot and combines with full Boa® lacing for supreme comfort and board control. Add in a Pro-Light Vibram® outsole and it's pretty clear the K2 Maysis Snowboard Boots will remain at the top of the pack for many seasons to come. 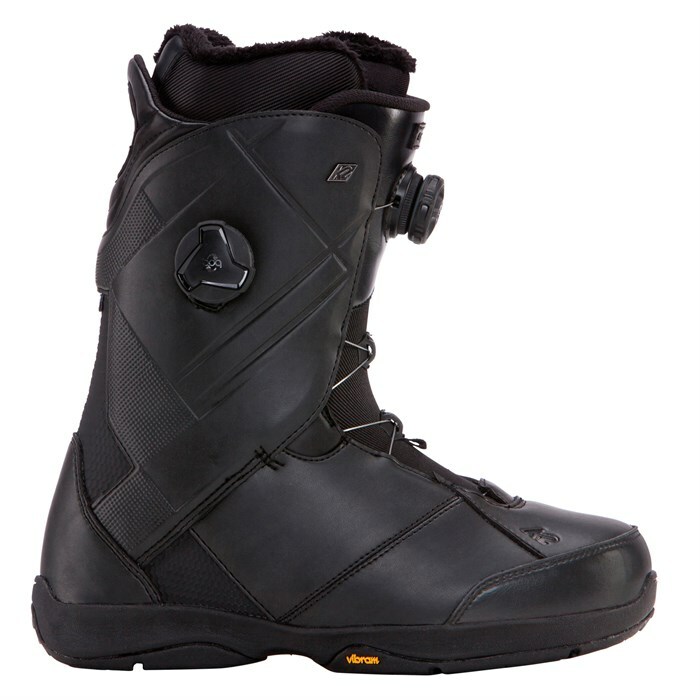 Endo 2.0 Construction  Endo 2.0 is the most technically advanced boot construction available. An injected heel counter construction adds strength and durability to your boot, giving it the same response season after season. The Endo 2.0 design allows for a more precise and smooth flex with a snappy rebound to power you out of any landing or turn. With an ultra durable TPU construction, the Endo 2.0 provides lasting comfort, response and durability for all styles of riding. Intuition® Control Foam 3D  K2's most versatile liner built with a blend of high and medium density Intuition® foam. Internal and external J bars around the ankle boost support in that critical heel hold area. Finished with a 3D molded EVA insole to surround the entire foot in structured comfort. Boa® Conda  A patented K2 liner lacing system that uses a urethane part to hug your ankle creating the ultimate heel hold control. It also allows for adjusting liner tightness and heel hold on the fly from outside the boot with gloves on. Boa® Coiler  A cable and reel based lacing system that creates even tension and easy lacing operation. This system features low friction guides for even tightening and the Coiler version automatically retracts lace slack so things stay nice and neat. Vibram® Pro-Lite Outsole  Combining the ultra grip and durability of Vibram® with K2's deep knowledge of just what a rider needs, the Vibram Pro is the best of old world and new. Lightweight and built to last to get you to the top fast.